Mt. 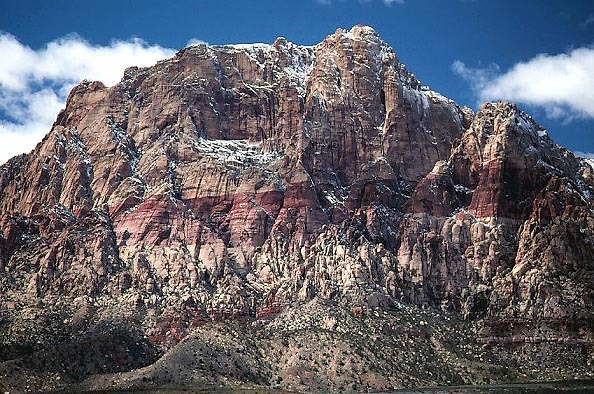 Wilson (7,070') regales in a light dusting of new snow, seen from the scenic loop road in Red Rock Canyon National Conservation Area. Photo taken March 30, 1998, by Petesthousandpeaks.